Sideshow Collectibles and New Line Cinema are proud to bring you the second entry in the series of The Lord of the Rings Dioramas. 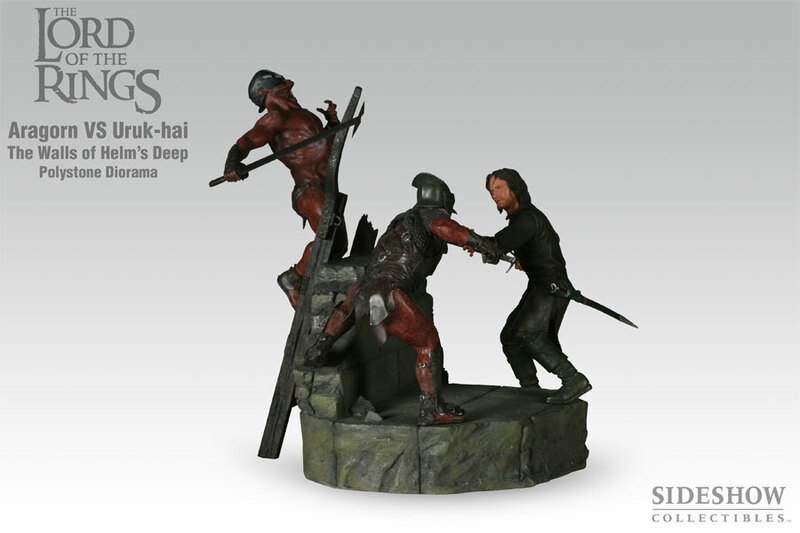 The Wall of Helm's Deep Diorama captures Aragorn in the heat of battle, as he turns from one attacker to another with grim resolve. The Uruk-hai berserker is slain, but before Aragorn can dispatch the ladder, he must face a ferocious swordsman. 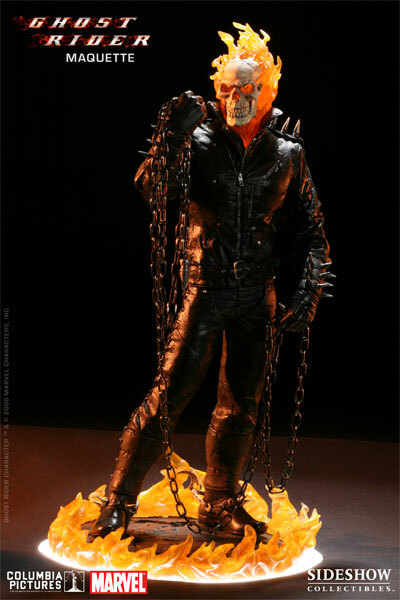 The diorama has been sculpted in approximately 1:9 scale, each figure standing approximately 9.5 inches tall. Each piece is cast in high quality polystone, hand-finished, and hand-painted to exacting standards. The Wall of Helm's Deep Diorama is complete with a hand-numbered individual edition number on the bottom side of the base. Don't miss this chance to continue your collection of The Lord of the Rings Dioramas!